A Princess "Top Hit" - back on the big screen! 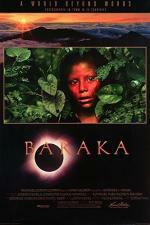 “Watching Baraka, a nonverbal symphony of exquisite images, you experience a feeling of intense empowerment. As one spectacular image follows another, nearly every one lucid and sharp and magnificent, you feel as if you can go anywhere and see anything.